Let me begin by laying down my cards here. There are all kinds of biases involved in the writing of this post. I genuinely admire Anjan Chatterjee for what he has achieved. He is a fellow Bengali and we should stick by each other (Just check Facebook statuses of Bongs on days such as Kishore Kumar's birthday or that of Uttam Kumar, Ray, R D Burman or Saurav Ganguly). Mainland China, Bandra, is one of my favourite Chinese restaurants in town. Though I wished that they served the favoured Chinese meat of pork. The publishers, Random House, invited me to the launch of Chatterjee's book, The Mainland China Cookbook. I did eat a few starters at the event and sipped on a glass of bubbly. I really enjoyed the experience of being at the book launch. Was enthralled by Chatterjee. Excited at meeting him. I wrote about it. A few days later I got a copy of the book from Random House in the mail to review. I didn't pay for it. It's been a while since then. I have skimmed through the pages. I have not read it in detail. I normally write about things which grab me by the throat and excite me. In real time. I received this book a while back. I must also admit that I have very clear views on the genre of writing that I like. I love food stories. I have my favourite author. I hang on every word that Anthony Bourdain writes. Savour them the way one would dwell over a well made kakori kebab. Enjoying the feel as long as one can before slowly, wistfully swallowing it. Longing for the next bite. 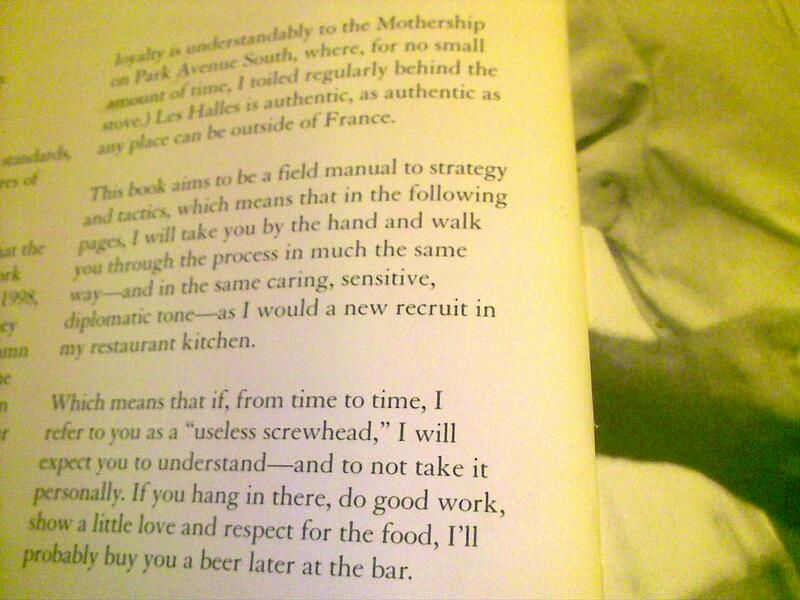 Bourdain is a food poet. A food philosopher. He spins yarns. Anyone else whom I read has to live up to him. On the other extreme lies pure recipe books, blogs, TV programmes. They just don't turn me on. The jacket of the Mainland China Cookbook says that it "includes all the beloved restaurant chain's favourite dishes and teaches you how to whip up the perfect Chinese meal in your kitchen". The book lives up to its promise. I am not sure about the 'perfect Chinese meal part' but they do lay bare the recipe chest of Mainland China for us in the book. It has an array of recipes from the restaurant's menu. The recipes come with simple, easy to follow, staccato instructions. They even very thoughtfully tell you where to get ingredients or how to convert dishes into vegetarian options. They include useful cooking tips as well. A good bet if you want to impress your guests by cooking fare from this very popular restaurant. Take a look at a couple of random examples to see what I mean. Fairly simple isn't it? Update: I haven't tried to make any of the recipes but @andreaclear, who did, tweeted about it being difficult to follow. Her grouse was that measures were aparently given in grammes versus, say, teaspoons amongst other things. The Mainland China Cookbook doesn't work for me. I am not the target audience of course. I rarely cook from recipes or with a book open beside me. It is not that I never read books with recipes. But then they have to be books like Bourdain's Les Halles Cookbook or Chitrita Banerjee's The Hour of the Goddess. Two very different authors. But who go beyond recipes. They write stories and not pedantic encyclopedias. 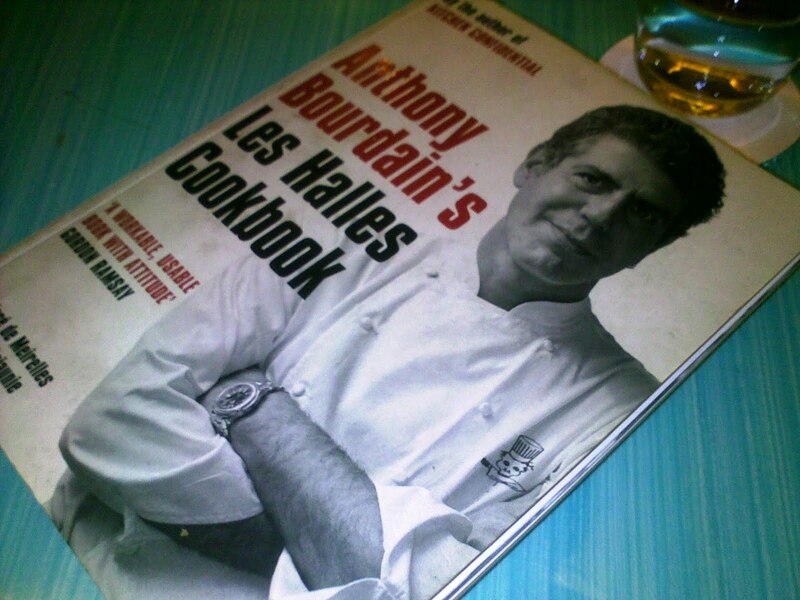 Sample some of Bourdain's writings from Le Halles Cookbook. Check out his introduction to the book and his thoughts on the kitchen knife. Then read a sample of the Mainland China Cookbook. And intro to Chinese Cooking and on its kitchenware. 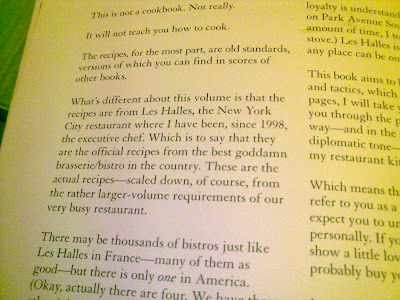 You will know why I pick up the Les Halle's cookbook each time I go to Yellow Tree and browse through it. And why the Mainland China Cookbook is lying in our bookcase. Largely unread. And in case you are wondering. 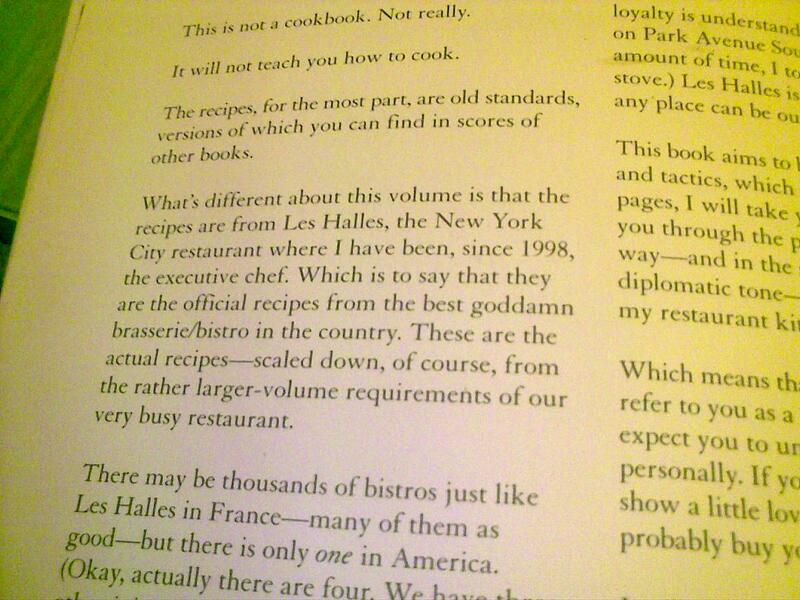 The Le Halles Cookbook has some serious recipes in it. Just that they are written in a more engaging manner. Each dish comes with a world view or a witticism. What hurts me is that the Mainland China Cookbook is a lost opportunity. It could really have been a landmark book in the Indian cookbook genre. The one thing that struck me at the book launch is the fact that Anjan Chatterjee is a showman. An entertainer. And a raconteur. He regales you and enthrals you when he speaks. He is lively, animated and dramatic. Very different from the UGC Countrywide tone of the book. I heard Chatterjee speak about the days when he was setting up his first restaurant. And thought how wonderful it would be to hear his stories from China. He had apparently travelled through China with his team, spending all his money, to gather recipes. Imagine how exciting it would have been to read those stories interspersed with recipes in between. Well, pick up the book and whip up a few Mainland China recipes. If not for anything else, then for the fact that Chatterjee apparently plans to donate all the proceeds of the books to charity. As for me, I doubt if I'll ever get any books to review after this. This is what book reviews should be about. Truthful and what you really feel about it! When I started reading this post - I thought you will sing paeans about the book and the creators. I am glad you are an honest writer. That for me is a great turn on. And I will still tease you about Sept 22. Ahahaha I like your closing line! I saw the book on the shelves of Landmark today and picked it up after all the buzz surrounding it lately. And sadly, I put it back within minutes.. it felt like a book from the 1990s. The paper, the photos (have they heard of food styling? ), the layout. While I commend all that Mr. Chatterjee has achieved, a little more through into the making of this book would have been appreciated. i like this whole visual comparative book review thing going on. Its how I function.... So true lost opportunity. However.. in Chicago I picked up this $5 cook book on Indian curries. It was on nice glossy paper and very nice pics. It probably had the same table of contents- indian spices, utensils, north indian cuisine, west indian cuisine, south, east etc. Every recipe had a cooks tip. I cooked alot from it. I loved it. I think I was sooo faraway from home- that its intructive nature worked for me. I want rogan josh. Here it is.. But it was a $5 recipe book not trying to engage me in any other way. @Pree, well I had promised Pinku that I wouldn't sell out when I wrote about the event. I'll envy you for the 22nd. This kind of cookbook might appeal to the likes of me because I need really really simple instructions and I panic if I don't have a recipe. Clearly I'm not much of a cook :) But living in Hong Kong, I do crave "Indian Chinese" (weird I know!) much as I love the authentic Chinese cuisines too. Any idea if the recipes actually taste like the stuff in the restaurant? Hi, I recently bought the cook book although I read quite a bad review of it in TOI. 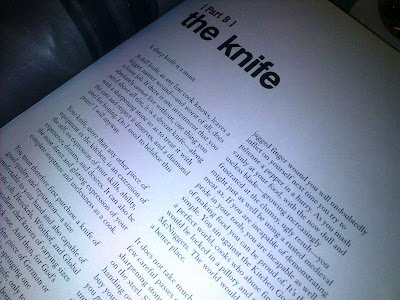 Nevertheless since I love buying cookery books went ahead and wasnt disappointed. Yes, initially the book didnt impress me, because as rightly pointed out the measurements in the recipe were quite impractical ( 315 ml of water, 4g ginger :-)..etc) , but I decided to try some of the recipes. Let me tell you they turned out to be quite amazing, I have so far tried out 4 recipes ..the measurments I have kind of given using 'andaaz' ...Now I cant wait to try the rest of the recipes.